Guys, I am going to be due for a set of tires shortly. I am curious what you are using. My Gen 3 is all stock, but I'd love to put the biggest, nastiest option I can. 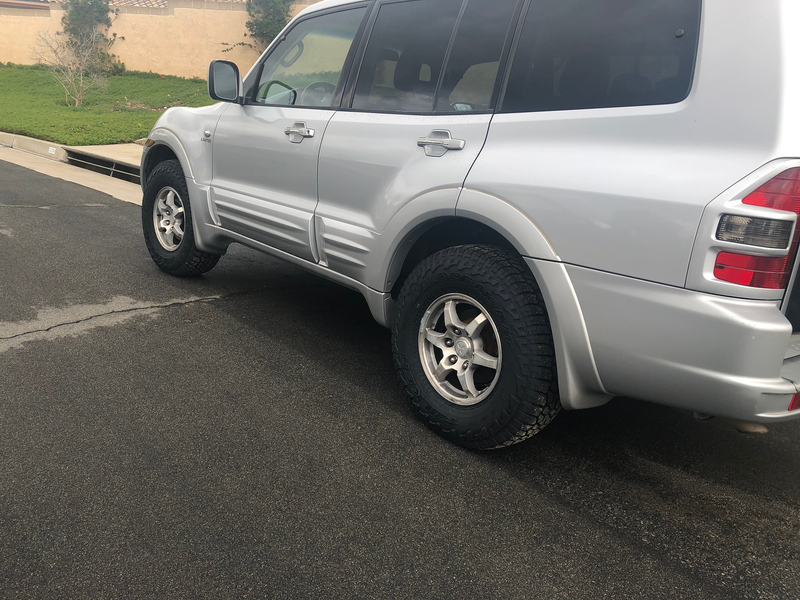 Cooper STmaxx in 255/85 r16. Tires keep impressing me. I went with the 265/75.16 on Falkien Wildpeak AT3's, and I really like them. Quiet on the road, superb in the rain, excellent off road. Running KO2’s in 265/75R16 Load E. I would by them again, but plan to go to 285/70R17 in order to go Load D. These will be plentiful and cheap as they are the new OEM fitment on JL Rubicon’s. I can go 33 and save a few #’s over the Load E’s. If they made it, I would have opened my wallet for 255/85R16 KO2’s. The General ATx interests me and has a Mileage Warranty. I am most likely sticking with BFG. Lots of really great tire choices out there, and IMO 265/75R16 is plenty unless you want to go 4.9(as I do). I’m currently on 265/75R16 K02s. 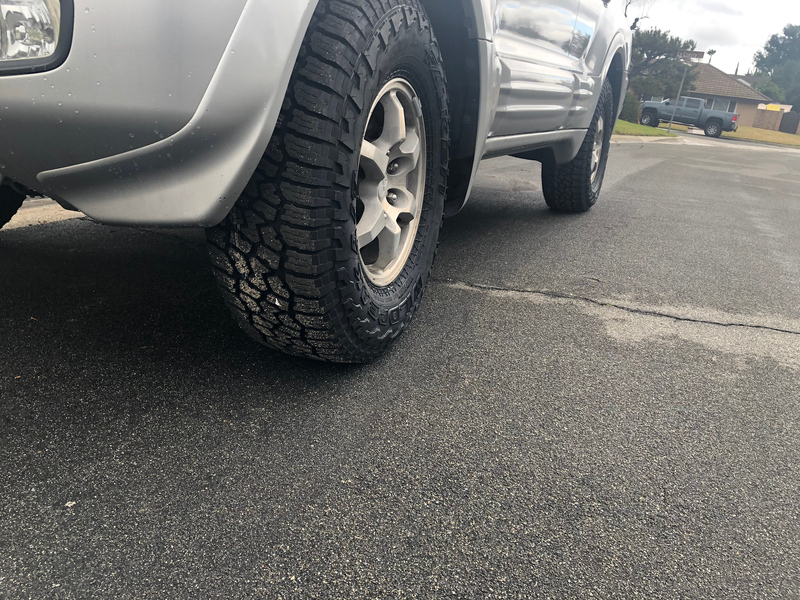 They’re great tires but they’re more than I need, especially in Load E. What do folks recommend as a “step down” from the K02 but staying on the 16 inch rims? Not a highway tire, but slightly less aggressive than the BFG and not as heavy? Nothing bigger than 265/75R16 (or 265/75R17) without a lift. I am a fan of BFG A/T KO2. Not sure how the Falkins are with the re-design, but I ran the early model of these tires (Wildpeak A/T) and they were very loud on the Gen 3 chassis. I don't think these will fit without rubbing a lot on stock wheels and no lift. Maybe? I run 285/75R16 on mine with OME medium springs and still get a little rub occasionally. I understand that the 255 is narrower, but it is slightly taller than a 285. YMMV. I'm also running 265/75/16 e load ko2. A little stiff on the road. They are like 21 lbs heavier each than a "stock" tires. I feel it does make a difference in braking. Thanks all! This is fantastic info. I've been running a set of Wrangler (SRA, I think) tires I got at Walmart (due to a blowout I had on a road trip, and I needed tires anyway, so I said what the hell and get a set). They were the cheapest "light truck" tire that was in stock. I have to say, I have been pleased with them. 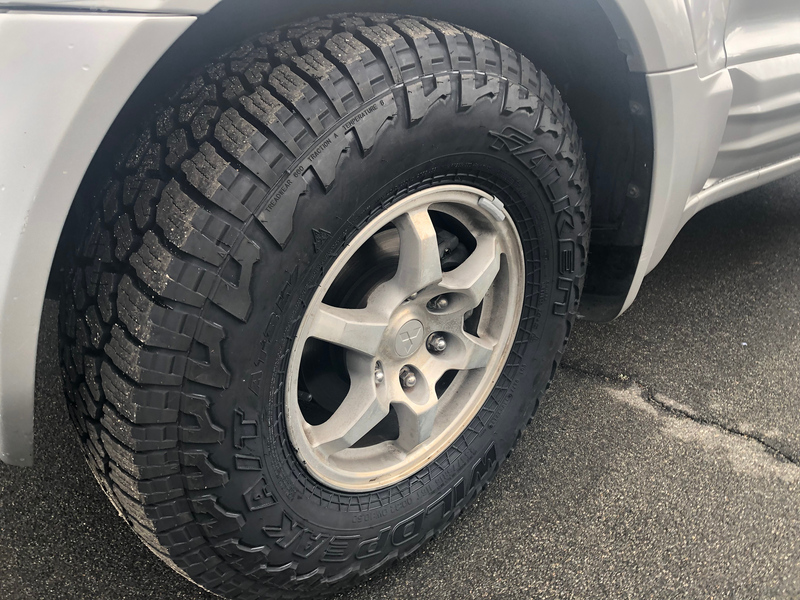 They're not really an off road tire in any way, but they've served well, and are at about 50K miles, which is pretty good for $80/tire (I think the tread wear guarantee was for 50K which is about right). So if you are not looking for a more dedicated off-road tire, and want something that is cheap and last a long time, I can recommend those. With the Monty being retired to 3rd car duty, which is more wheelin' and campin' I'll be happy to get a more aggressive tire for my current uses. Running 285/75R16 e load KO2 with OME HD on both of my Gen3s. They're stiff, but sturdy. I'm amazed by the road performance, quiet and balanced. I run Toyo Open Country AT IIs - C Rating = and have been really pleased with them. If I were to do it all over again I would pay closer attention to snow flake ratings. Some of the common choices, KO2's for example, have the fancy severe snow service rating which means they're acceptable with 4 wheel drive to meet "Chain up" requirements in Colorado - which is nice (the Open Country's don't). The other thing to really pay attention to is noise, the Gen III is very noise sensitive, so check around carefully if you're straying from the standard choices (note Plh's comments). Some of these tires have been re-engineering relatively recently (for example the KO2s) but others are getting a bit old. Great combo, no complaints, has the snowflake tattoo.